On October 25th, Camp Pendleton's 1st Marine Regiment held their 2nd annual Halloween Festival. District 5280 club members visited the camp to lend staffing assistance for this children's carnival. 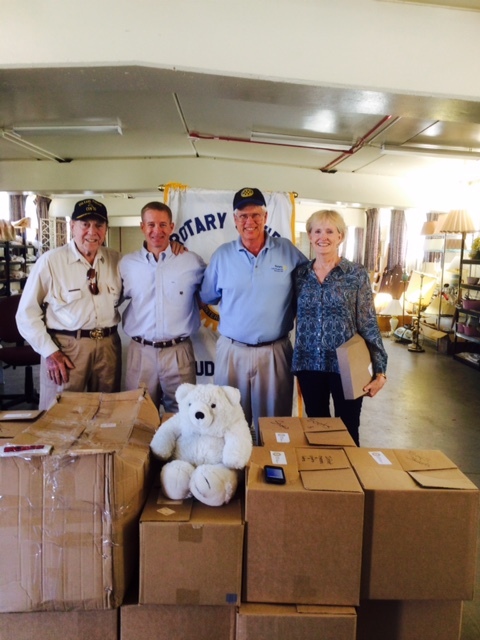 Studio City-Sherman Oaks club Rotarians, to show their support for the Marines who serve our country so well and their families, donated a significant quantity of children's clothing and Target Gift Cards to the Camp Pendleton Warrior Warehouse. Pictured above are Col. McCollough, Commanding Officer, 1st Marine Regiment with (L-R) Studio City-Sherman Oaks Rotarians Bernie Weitzman and Bob Black and Camp Pendleton Rotarian Linda Sundram.